Ladies and gentlemen start your engines, and get ready for another fantastic Emmy consideration billboard roundup here at Daily Billboard. First up today are these fabulous billboards for the tenth season of RuPaul's Drag Race, the reality drag competition which really has become a part of everyday pop culture. 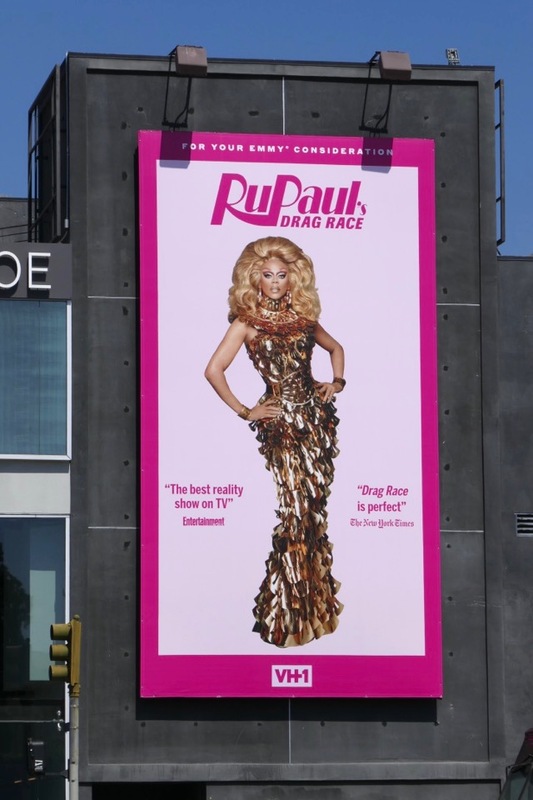 These Emmy consideration billboards, complete with RuPaul's main stage gowns by Zaldy on display in the store unit directly underneath, were spied making a big impression along Melrose Avenue on June 7, 2018. With ten Emmy nominations and four wins to date, including two consecutive Outstanding Host for a Reality or Reality-Competition Program, please don't sashay away anytime soon. 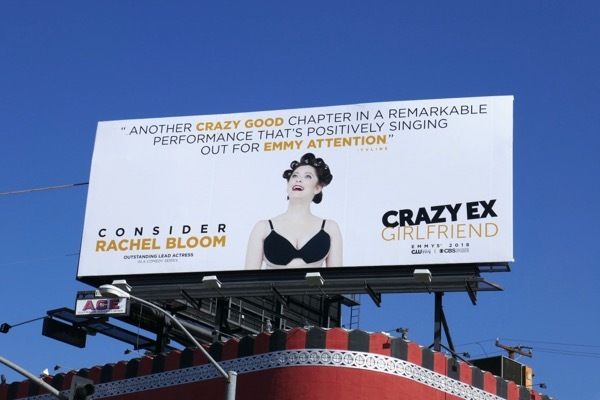 The CW is throwing their support behind Rachel Bloom this year for the third and penultimate season of the comedy musical television show, Crazy Ex-Girlfriend. 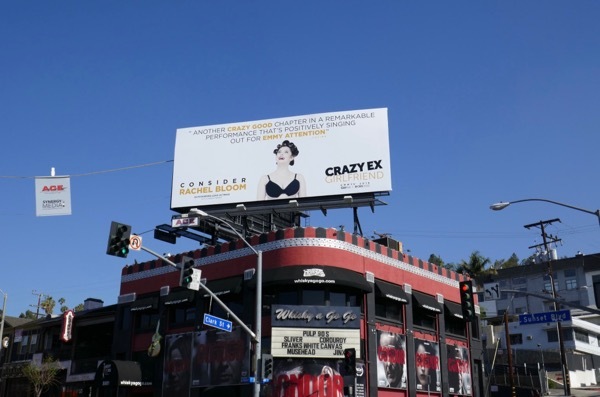 With her journey to find love ending after the fourth season there's never been a better time to be nominated and this Emmy FYC billboard was photographed above Whisky A Go-Go along the Sunset Strip on May 30, 2018. 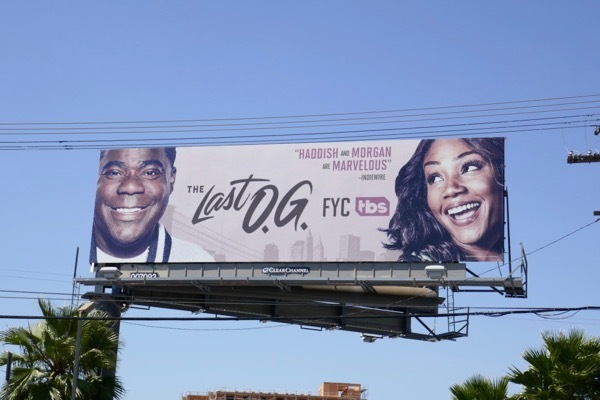 After being injured in a deadly motoring crash in June 2014, Tracy Morgan returned to episodic TV and his Brooklyn roots with his new TBS comedy, The Last O.G. 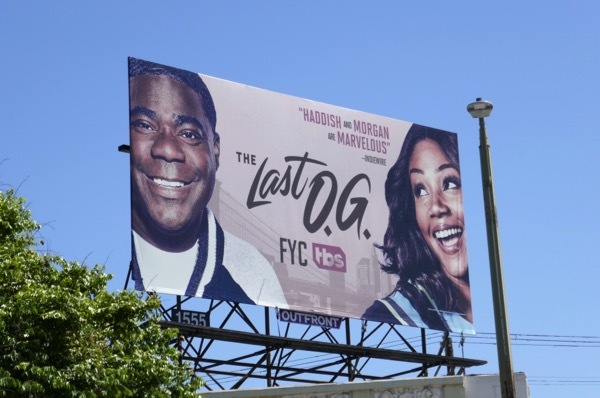 Fresh out of prison after fifteen years he tries out reconnect with his ex-girlfriend, played by the hilarious women of the moment Tiffany Haddish, and discovers he has fathered twin teenagers. 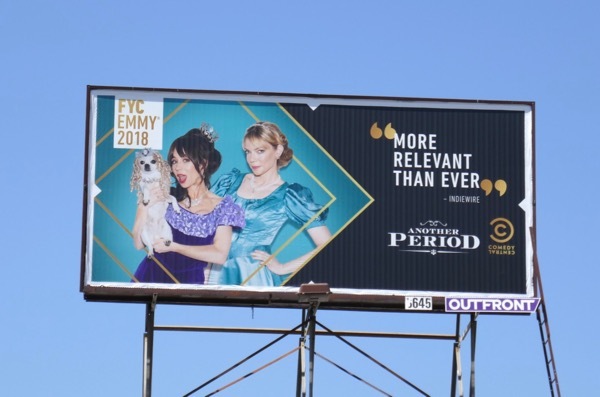 These Emmy consideration billboard for the comedy were captured along Pico Boulevard, Overland Avenue and La Brea Avenue from June 2 to June 9, 2018. 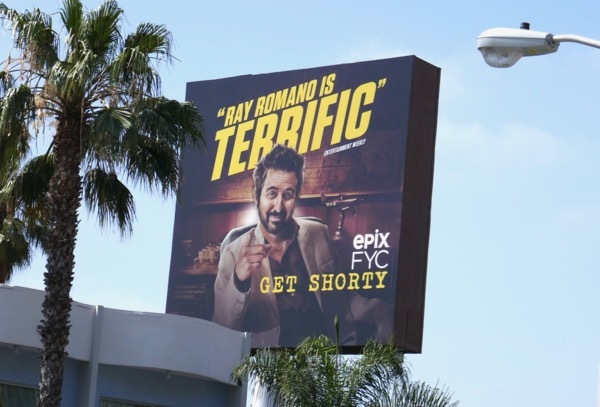 From original comedies to TV remakes of movies, as Epix adapted 1995's big screen crime comedy, Get Shorty, this Emmy season. Chris O'Dowd and Ray Romano starred in the mobster-turned-movie producer series and are hoping for some TV Academy attention this year. 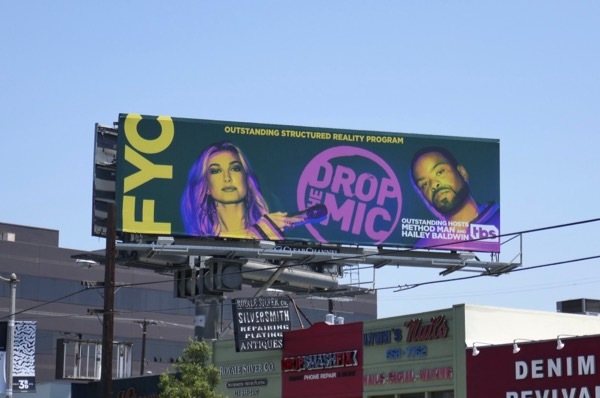 This terrific outdoor Emmy FYC campaign for the TV reimagining was snapped along the Sunset Strip, Beverly Boulevard, Pico Boulevard, La Cienega Boulevard and San Vicente Boulevard from May 28 to June 9, 2018. 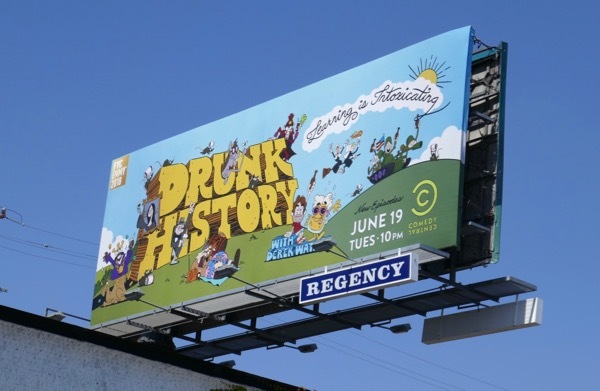 Comedy Central was another cable channel supporting their shows in the past few weeks, including the fifth season of their inebriated retelling of America's past, Drunk History. 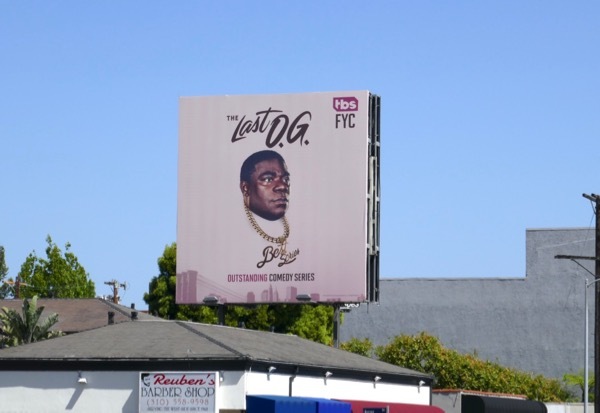 This illustrated Emmy FYC billboard, which also highlighted all-new episodes of the live-action comedy, was snapped along the Sunset Strip on June 1, 2018. 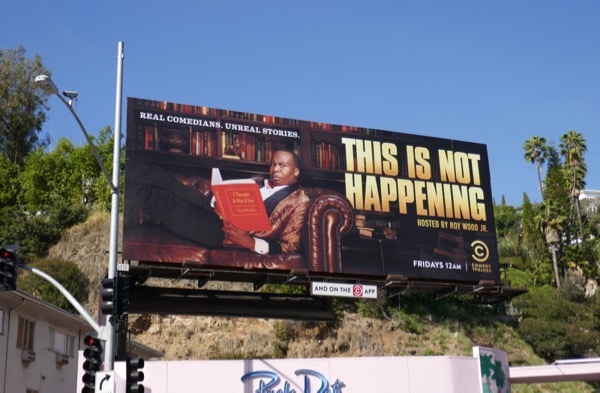 Meanwhile This Is Not Happening was getting a new host for its fourth season of comic storytelling this year, Roy Wood Jr. 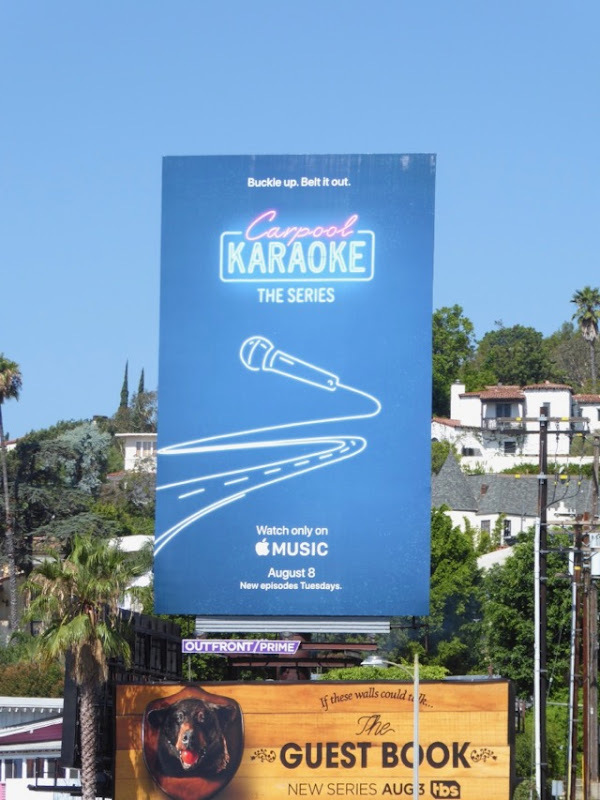 The season four billboard for the Comedy Central show was spotted along the Sunset Strip on February 1, whilst the Emmy FYC billboard was snapped along Fairfax Avenue on June 1, 2018. Meanwhile Natasha Leggero and Riki Lindhome were stepping back in time for a third season as fame-seeking aristocratic sisters in Another Period. 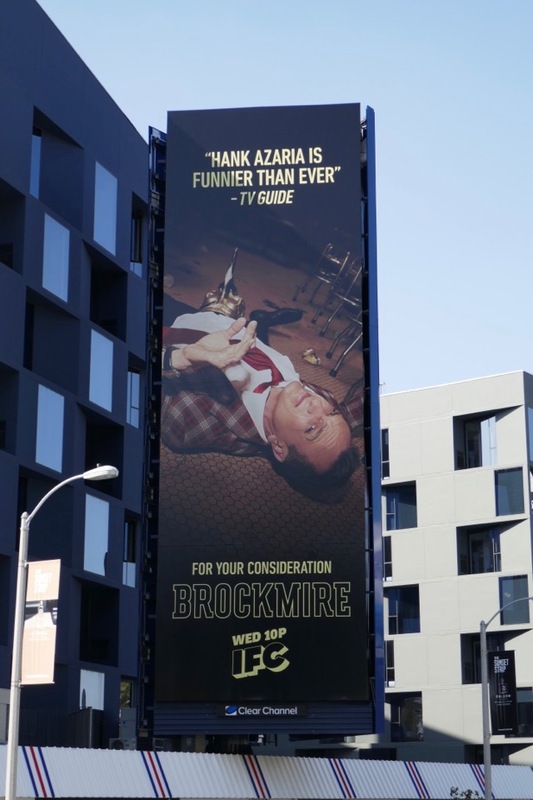 This Emmy FYC billboard for the returning comedy series was spotted high above Pico Boulevard on May 29, 2018. 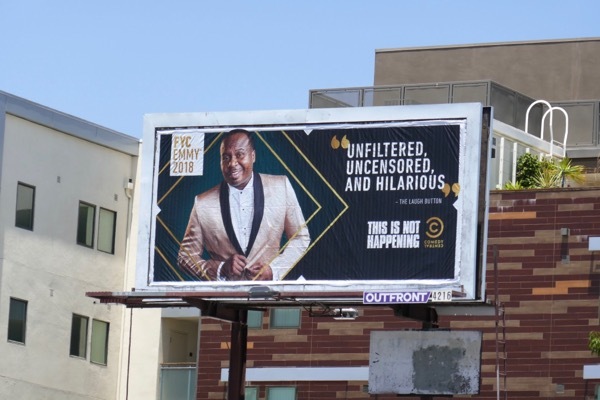 In addition be sure to also check out these other 2018 Comedy Central Emmy FYC billboards for The Daily Show with Trevor Noah and The Jim Jeffries Show posted last week. 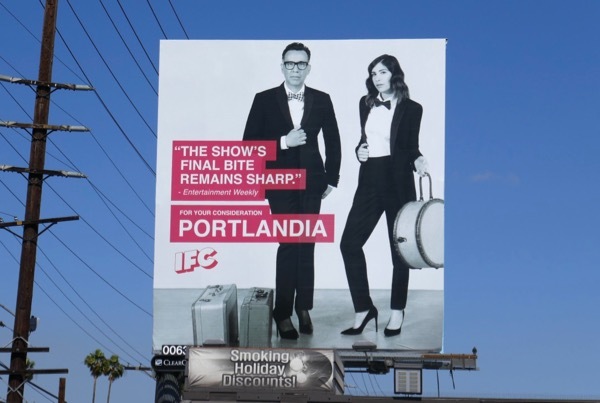 Over on IFC Portlandia was packing up its bags for its eighth and final season of sketches and characters inspired by Portland, Oregon. Nominated for twenty Emmys over its eight-season run, winning four awards for costumes and production design, can Fred Armisen and Carrie Brownstein go out in a blaze of glory this year. This eye-catching Portlandia FYC billboard was spotted along Santa Monica Boulevard on May 26, 2018. 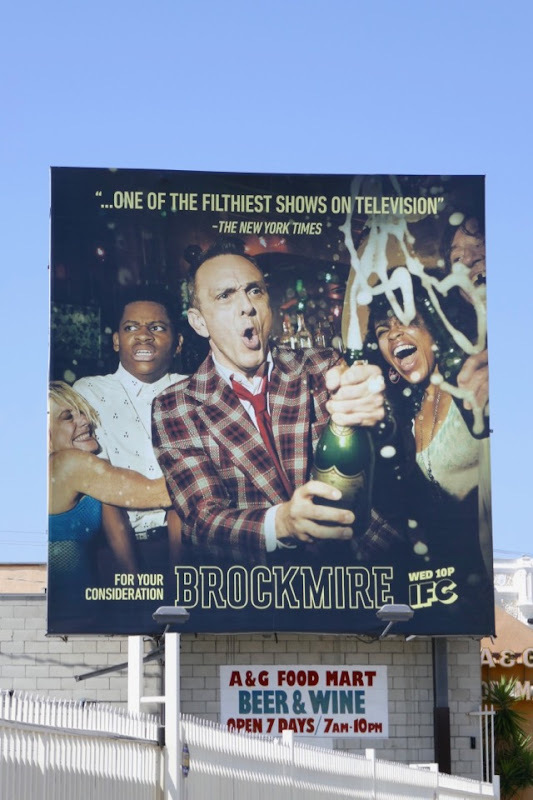 Meanwhile IFC's other comedy offering, Brockmire, was back for a filthy sophomore season. Hank Azaria stars as famed high-profile Major League Baseball announcer who suffered a on-air meltdown after learning his wife cheated on him, trying to reclaim his former career ten years later in a small town setting. These different Emmy consideration billboards were spotted along La Brea Avenue on May 29, then later along the Sunset Strip on June 1, 2018. 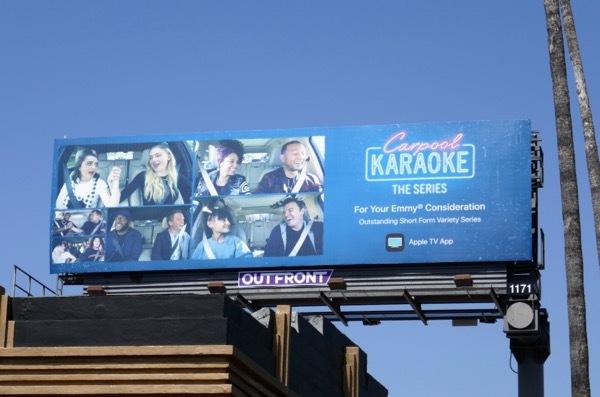 Meanwhile James Corden's popular segment on his CBS talk show received its own Apple Music spin-off this year, which each episode pairing celebrities for a car-sharing sing-along. 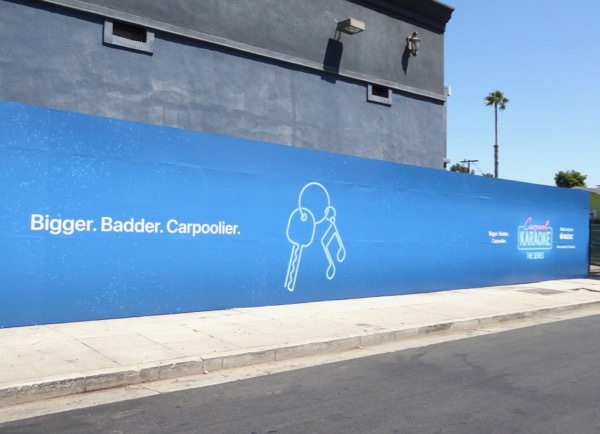 These series launch billboards and wildpostings were captured along the Sunset Strip and Sycamore Avenue from July 26 to August 8, 2017, whilst the Emmy consideration billboard was spied above Sunset Boulevard on June 7, 2018. Plus be sure to also check out James Corden's other late-night Emmy FYC billboards filling the city skyline at the moment. And finally for this collection, TruTV has a cohesive offering to make you 'Consider more laughter' thanks to their comedy show programming. 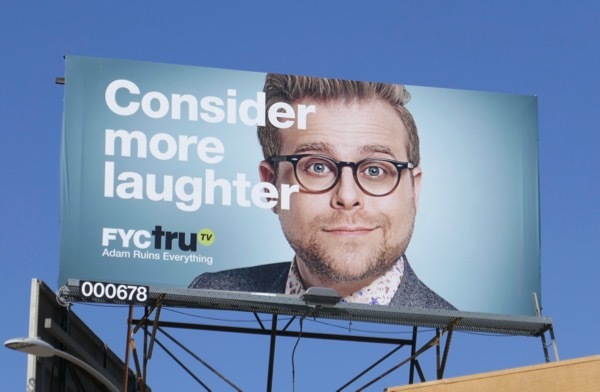 These Emmy FYC billboards for debut seasons of At Home with Amy Sedaris, Andrea Savage's I'm Sorry, the third season of The Chris Gethard Show and the second season of Adam Ruins Everything were photographed along Beverly Boulevard, Hollywood Boulevard, Pico Boulevard and La Brea Avenue from June 2 to June 9, 2018. They may be small ads, but thanks to their coordinated approach and perky faces they really stand out around the city streets and skies. As you have seen from all the examples in the past week or so, L.A.'s 2018 skyline is crammed with Emmy consideration billboards for Netflix, HBO, Amazon, Hulu, FX, Showtime, NBC, Lifetime and many more besides. 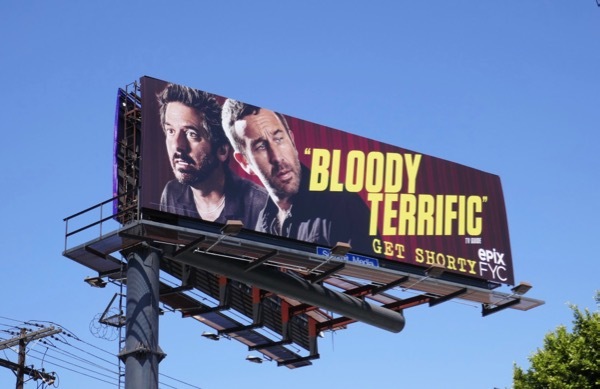 Daily Billboard is sure we've not captured them all and more will probably pop up before the nominations are announced on July 12, 2018, but all this Emmy campaigning is certainly big business for the Out-Of-Home industry. 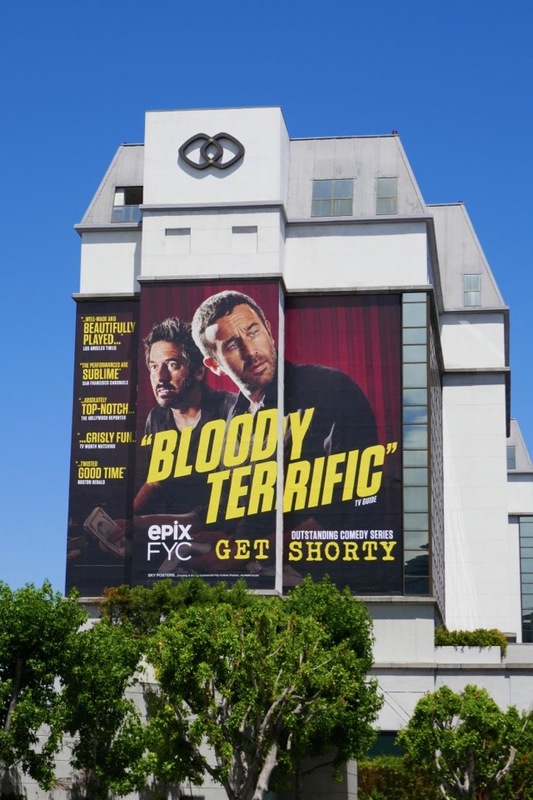 UPDATED: Here's also some super-sized Emmy support for Get Shorty, snapped on the side of the Sofitel Hotel along Beverly Boulevard on June 15, 2018. 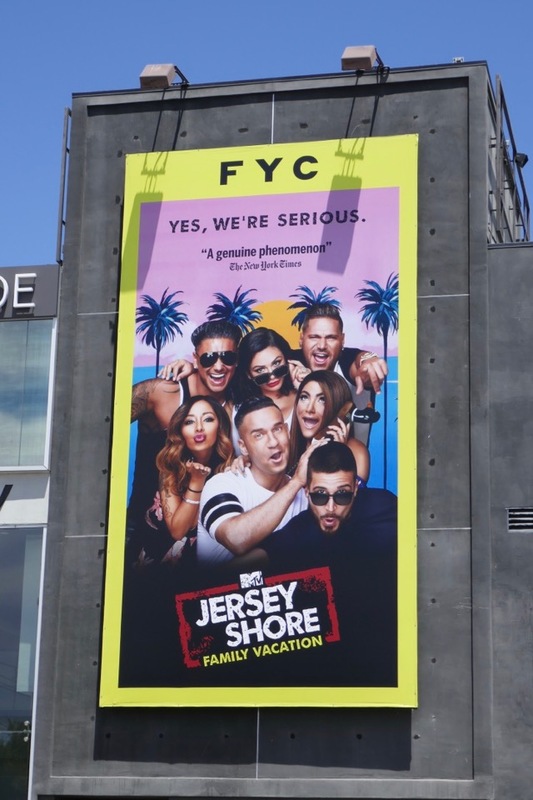 Jersey Shore: Family Vacation also wanted to get in on Emmy season this year for their reunion sequel which saw the reality TV stars, like Snooki, JWoww and Pauly D, sharing a holiday house in Miami, Florida. These 'Yes, we're serious' Emmy FYC billboards for the MTV show were snapped along Melrose Avenue on June 15, 2018. 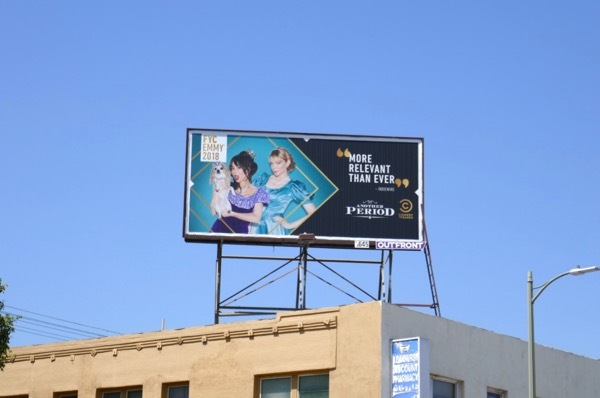 UPDATED: Here's also a fun email-themed Emmy consideration billboard for the second season of Alia Shawkat's dark sleuthing comedy Search Party on TBS, spotted along the Sunset Strip on June 20, 2018. 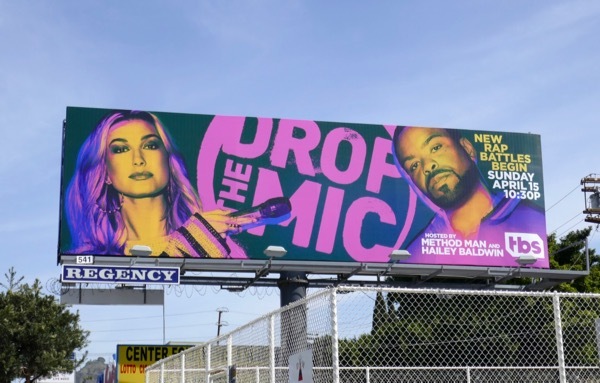 Plus TBS is also campaigning in the skies for the sophomore season of rap battle reality contest, Drop the Mic, hosted by Hailey Baldwin and Method Man. 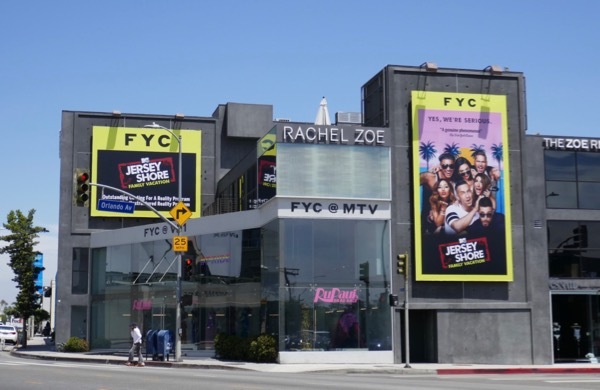 The season two billboard was spied along Fairfax Avenue on April 9, whilst the Emmy FYC version was spied along L.A.'s 3rd Street on June 20, 2018. 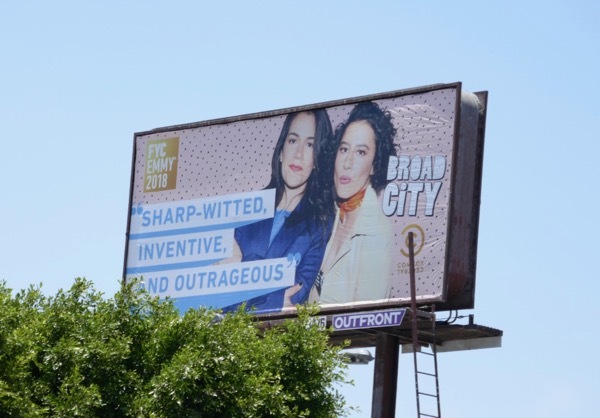 UPDATED: Here's also an Emmy consideration billboard for the fourth season of Comedy Central's Broad City starring Abbi Jacobson and Ilana Glazer, spotted along La Cienega Boulevard on June 22, 2018. 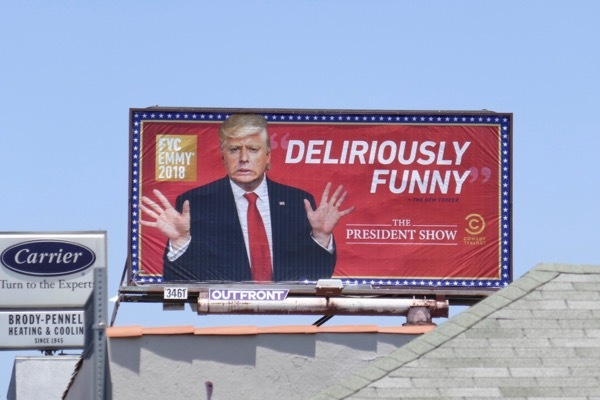 And here's another Comedy Central FYC billboard, this one for The President Show starring Anthony Atamanuik impersonating POTUS, snapped along Robertson Boulevard on June 24, 2018. 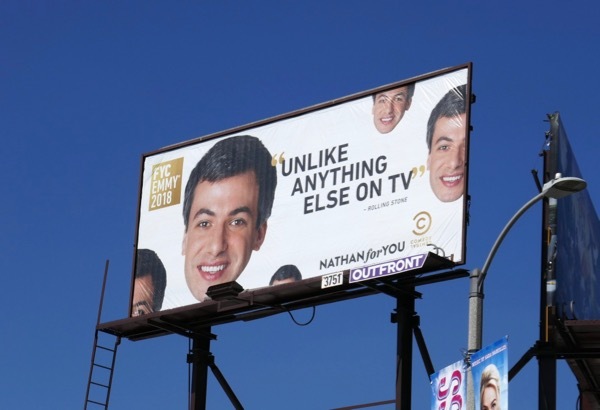 Plus this Nathan For You Emmy FYC billboard for the show's fourth season starring Nathan Fielder giving quirky business advice, was spied above Pico Boulevard on June 26, 2018.